Aggressively investing to ‘Make in India’ for India and the world, Honda Motorcycle & Scooter India Pvt. Ltd. (HMSI) today inaugurated its landmark fourth manufacturing plant at Vithalapur (Mandal taluk, Ahmedabad district, Gujarat) in India. Honda’s latest green factory has come up in a record time of 13 months! In case of 2wheelers, ASEAN countries contribute 13.8 Million Sales which is 80 % of Honda’s global unit sales with the production facility in 9 countries. India is the fastest growing economy in the world and is one of the most important and fast growing markets for Honda. With this vision of growth, today we have achieved a new milestone for our business in India. We are inaugurating our 4th factory in Gujarat. This will make India to attain No. 1 position in all ASEAN countries. We would expect this growth momentum to continue for Indian market as well as expect Indian operation to be export hub for ASEAN countries. Our goal is not only to expand our operation, but to contribute to the prosperity of society in India and Gujarat. This plant would be a benchmark plant in India not only in terms of volume, but safety, quality, morale and human aspect. 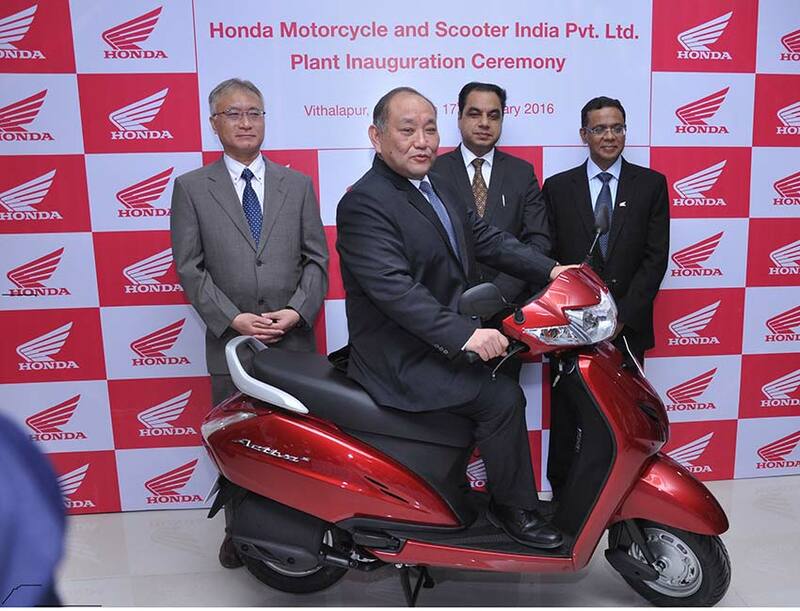 India plays a key role for Honda’s 2wheeler business. In 2015 Honda’s global sales of all products was 28 million units out of which global 2wheeler sales stood at 17 million units. Today, 25% of the total Honda two-wheelers sold across the world come from India. We will continue to invest in technology, for the Indian market. 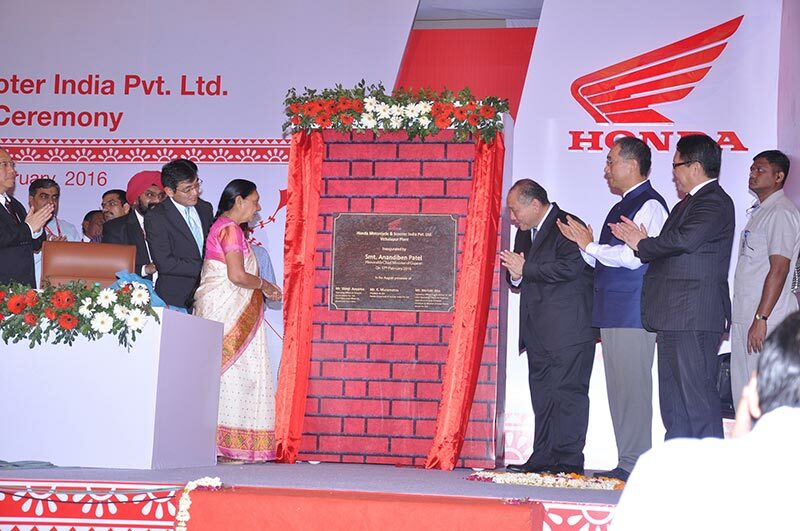 Through training and cross market collaborations, we want to make India Honda’s technology hub as well. Driven by the visionary growth-centric outlook of the Government, there is an increased focus on investing in roads and infrastructure. These factors imply that the best days for the scooter market in India, are yet to come! Spread over 250 acres, Honda’s Fourth plant operations are scheduled in two phases. The first production line of 6 lac units’ annual production will soon be followed by the 2nd Line of additional 6 lac units’ annual production in the middle of 2016. In total, Honda will manufacture 1.2 million automatic scooters annually from its fourth plant. The new Fourth plant will increase HMSI’s total annual production capacity to 5.8 million units, including 1.6 million units at first plant (Haryana), 1.2 million units at second plant (Rajasthan), 1.8 million units at third plant (Karnataka) and another 1.2 million units at the fourth plant (Gujarat).